Backed by the team of trained experts and experienced designers, we are engaged in offering a wide range of Double Coated Frypan to meet the needs of our customers. Made up of high quality base material, this Double Coated Frypan is non-corrosive and rust-free as well. This requires a very less amount of oil to be used in this product if anything has to be cooked which lets the user have healthy food. 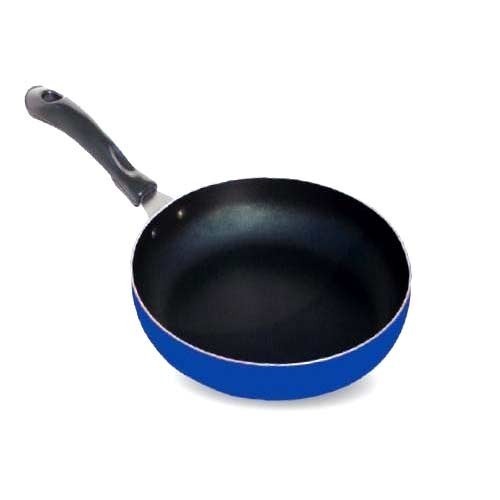 This product is known as NON STICK FRYPAN WITH SS LID.